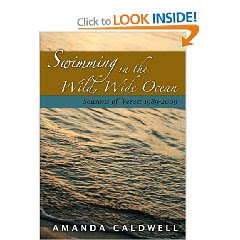 Amanda Caldwell: Search inside my book! Remember how I promised to write about writing-related topics as well as, you know, haircolor quests? Well, my lovelies, I have completed the arduous (not really, but, yes, somewhat circuitous) task of applying for "Search Inside This Book" status on Amazon. You can click on "Click to LOOK INSIDE!" and — joy! — look inside. You send in a PDF of either your entire book or, as I did, because it better matched what we'd made for CreateSpace, separate PDFs of your front cover, back cover, spine, and interior. The two required portions are front cover and interior. You could leave out portions of your interior for security fears, but there are good reasons not to and protections already in place (see below). They recommend high DPI but will work with lower. Actually, they seem quite reasonable and helpful all around, and will even split up or splice together or crop files for you if you're too dang lazy to get it right, and the function was up and running within a couple days for me (though, I think, I mailed in the files correctly). This is a part that confused me, though: The sign-up is connected to your Seller Central account, but it doesn't tell you that until you're partway through the process, and your sign-up email address has to match your Seller Central email. Well, I already have a Seller Central account, whereas they were assuming I'd be signing up for one, so I ended up finding it easier to change my Seller Central email address to match my Inside the Book one rather than try to explain that to them through the somewhat clunky emailing-back-and-forth interface. It's probably not an issue for most non-seller-type people, but I thought it was strange they didn't mention upfront to sign up with your Seller Central email if you have one. Anyway, the good news is, you can now see sample pages and search for keywords. I think the Search Inside function is lovely as a buyer, because I can get a feel for whether I'll enjoy the book as a whole, so I knew I wanted to offer it as a "publisher." 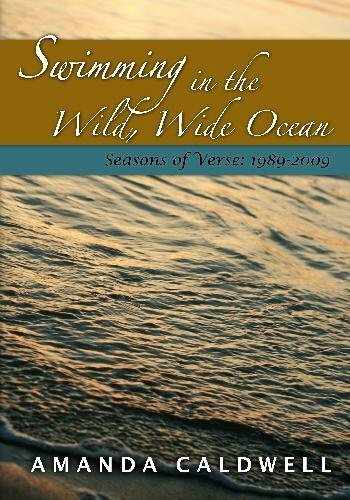 I thought they did a good job of selecting what pages to include in the preview; none of the poems are cut off, and there's a nice sampling (no stupid poems — hooray!). By logging into an unused Amazon account of mine, I discovered that if you haven't bought something on Amazon they won't let you see beyond a certain amount of pages. Even if you are a trusted buyer, if you do a lot of a keyword searches, they'll let you see only a certain amount of pages per day. So the whole text of the book is scanned in and searchable (and, presumably, a potential candidate for Kindle in the future?? ), but it's not like you can just sit down and read it all for free online without paying for it. Hey, in other good news, because people have bought copies (copies! multiple! ), I now have an Amazon sales ranking: #205,252. Woot! Eat your heart out, Audrey Niffenegger — I'm gunning for you. Congrats on selling multiple copies! I've already bought two, one through Amazon and one through CreateSpace. I haven't been able to read it completely yet (gave away my first copy before I was finished!) but am loving it so far. Can't wait for my second copy to arrive so I can keep reading. I haven't got around to pursuing the "search inside" feature for my listing on Amazon. I'm not convinced anyone is going to buy my book apart from my personal sales efforts, so it's not a pressing concern to get the listing perfected :o). I guess that's one nice thing about listing on Lulu--you can automatically attach a "preview" to your listing, choosing how many pages to show and which ones. So much simpler, I think!